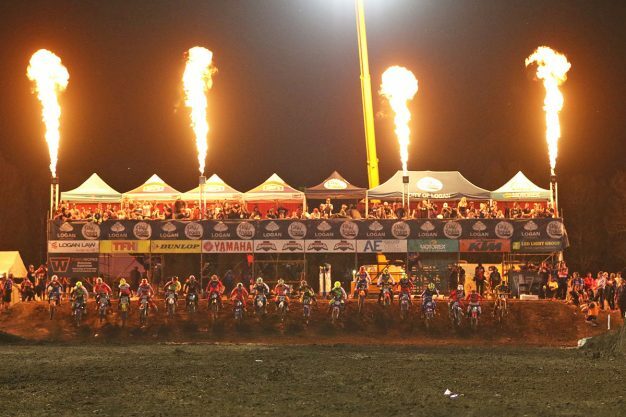 Continuing the conversation on the 2018 AUS Supercross season. The 2018 Australian Supercross Championship is just around the corner, to be overseen by new commercial rights holders AUS SX Holdings. Part one of this exclusive Industry Insight interview with Adam Bailey was published on Tuesday and, today, we’re delivering part two as MotoOnline.com.au sets the tone for an instrumental season to come. One aspect that will be introduced for the championship this year will be track guidelines, basically amounting in more consistent obstacles and elements from round to round. Rider safety appears paramount with these types of advancements. Absolutely, I think that’s one of the things that has been missing. Because of having multiple promoters, there’s been that lack of consistency in the track build and design. It’s nobody’s fault, but it’s just meant that a triple at one round is completely different to the next round, same with the rhythm sections, whoops and everything else. Around the world, track builders can get too carried away in making the tracks too technical, which doesn’t necessarily lead to better racing and it also can lead to more injuries. 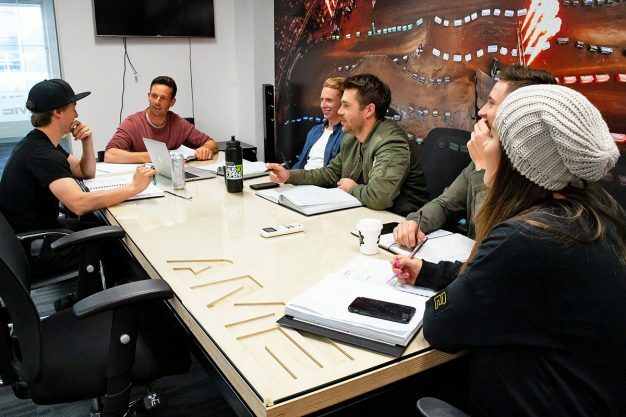 While we want them to have their technical aspects and to test the riders, for sure, we want to have some consistent guidelines in terms of rhythm section distances, heights of the jumps, etc, that track builders can work off of at home and at national rounds. When the riders turn up to the races they will have some kind of base level of what to expect, because in the US, they have these sorts of guidelines. It doesn’t make the racing any less boring, because the combination and order of jumps are still what makes it difficult, but at the same time it takes away a lot of the guesswork, which is what leads to particularly the inexperienced riders having the biggest accidents. And in terms of seat time, you have mentioned practice days for supercross. Can you elaborate at the moment? I’m hoping that we will be able to announce at least a couple of official practice days, which is another benefit of the more permanent facilities. It means that, particularly for the unseeded riders or privateers, it gives them more track time and that’s something that we’ve been working on with promoters. 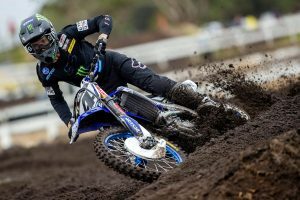 We purely want to get them more comfortable before the race day and to get them more supercross track time in general, because that’s the issue. If you’re a racer, regardless of if you’ve had enough preparation, on race day you’re going to try do the same sections that the next guy is doing, you’re going to want to compete and that’s where people can get hurt. If we can get them that bit more track time, that will lead to guys having more experience and also being safer. Juniors will once again form part of the Australian championship, but we’re yet to see them back indoors at AUS-X. Could that change this year? This is definitely something we’re looking at and a formal announcement will be made in the near future. Regardless, we definitely feel that there is a huge opportunity for juniors wanting to step up and race supercross. Ultimately this is the platform that gives riders the best chance at being recognised by sponsors and teams, both here in Australia and overseas. There is no question that teams in the USA, UK, Canada and more watch our series for talent. Your best chance at making a career out of racing dirt bikes is going to come through racing supercross. How about that Amateur Supercross Cup that’s been announced to be held on the day following selected events, what is the importance of that type of competition? 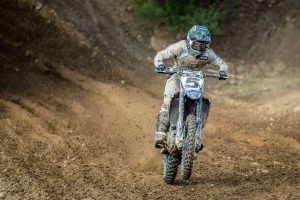 It’s super-important, because it gives riders a vital stepping stone between motocross and supercross, that used to be around a lot more than it is currently. They’re a simplified version of supercross, which means you can get the feel of the jumps and tighter racing without the high risk-factor of supercross – it’s a much safer version. It just helps build that experience, because if riders are used to racing on those tighter circuits with jumps and rhythm sections, etc, they can feel that much more confident when it comes to racing supercross, plus it’s a lot of fun! We’re accustomed to the AUS-X Open being broadcast on television each year, so will that continue and are there any plans for the other rounds to be televised or live-streamed? Announcements are still to come, but there definitely will be television for AUS-X Open. We’re working through what other potential opportunities might exist for the other rounds as well, beginning with just ensuring better quality still and video content comes out of those events. Ultimately, it’s about quality as much as quantity, to ensure we’re showing the events and sport, in the best possible light, so we need to nail that. I know you’ve mentioned it before and it’s a pretty significant feat, that research suggests the AUS-X Open has the largest digital reach of any sporting event in the country. That’s an extraordinary result when you think about it. Yeah, totally. That’s something we’re really proud of and something that we’re talking about a lot, is that the Monster Energy AUS-X Open over the four days leading up to and the event itself has the most video views of any sporting event in Australia, which is amazing. This proves and supports just how powerful our sport is to today’s audiences that are becoming more and more difficult to reach. We attended a sport seminar the other day and the majority of the discussion is about the shift in the sporting landscape and the shorter attention spans of fans. The reality of it is that short, sharp content is what younger people want to watch and often across multiple devices and platforms. This change is giving us a huge competitive advantage against other ‘traditional’ sports who perhaps aren’t adjusting as quick to this shift. We are absolutely working on maximising this advantage, which is why you’ll see us investing more and more into producing amazing content and why our focus is on entertainment, no matter what the platform, be it live at the event or watching our content on social media during the event. Our venue and events can attract 20,000-30,000 people, however our content can and does regularly reach and engage millions – it’s a huge opportunity that we have to capitalise on. 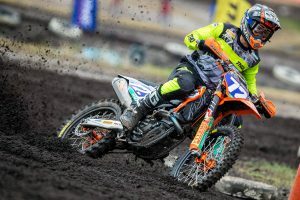 Outside industry support seems to be on the up, which is a really promising sign of recognition considering what supercross has to offer from a commercial standpoint. Is that the case? Absolutely. As I said before, we have some really powerful points of difference compared to other sports and properties. We have also been extremely lucky to have forged some amazing relationships with our sponsors who really believe in us and what we’re trying to achieve. Destination NSW believed in our vision for the AUS-X Open long before it was a reality and Monster Energy have and continue to be an incredible partner, who are so passionate about the sport and seeing it thrive. There are the likes of Shannons Insurance and Ladbrokes that have never been involved in dirt bike racing, which is amazing. I think we are doing a good job of communicating who we are, what we stand for and telling brands a lot about our fans, for them to connect with. We have that younger millennial audience absolutely captivated and our digital audiences are so strong, which as I mentioned before is of huge interest to brands whether it be with us, other events, teams or athletes. There’s no denying that, in terms of competition, supercross in Australia is well-respected globally and that our top riders are world-class. How vital is it to not only bring internationals over, but to also continue to build the profile of our domestic racers? It’s hugely important and both are important as each-other. Our Aussie riders are incredibly talented and they’re world-class, there’s absolutely no question. We need to be able to show them to the rest of the world and the only way that anyone in the States, for example, is going to take our local guys seriously is when they are up against some of their guys – some of the best in the world. 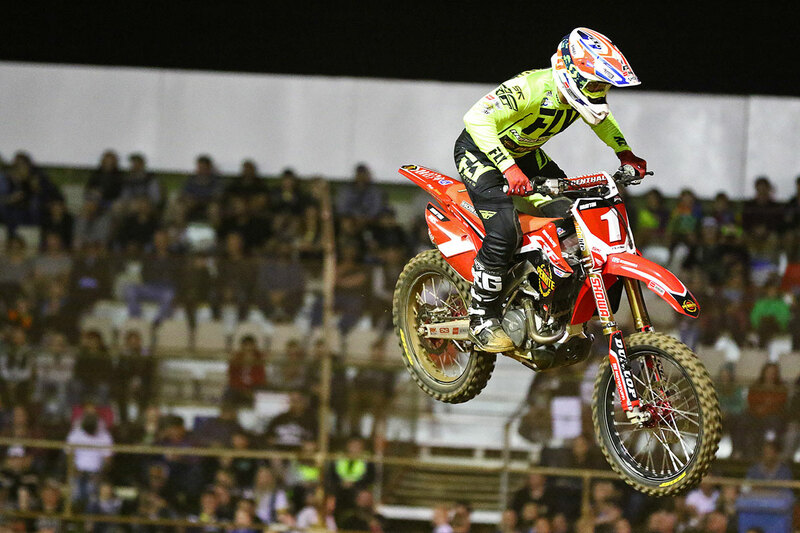 When Dean Ferris is able to give Justin Brayton a run, which he can, then there’s no doubt that people around the world are recognising that. The same with Dan Reardon and any of those other top guys racing at that level. It’s not only important that we use the internationals to boost the profile of our events and our sport, but to also give the local guys someone to chase and to provide people around the world a reference point so that they can see they’re able to run at that level. I think it’s only going to keep getting better and it’s so important – the crowd and fans want to see international standard riders, which is exactly what we have. Having a rider such as Brayton involved proves the standard that our guys are at.